Instead of watching Washington pundits dissect the AP-IRS-Benghazi drama closing in on No Drama Obama, I went to an action movie. I couldn’t help but notice two things. First, without advertising our world would be a blank slate. Second, if movie previews are any indication, our world will shortly be a blank slate. Imagine the horror of sitting in a semi-dark movie theater waiting for the show to start. Many have their cell phones out but leaving a screen blank in today’s “second screen” world seems as unsettling as dead air to a radio talk show host. The chances of spending a third of your movie theater time with advertising masquerading as entertainment is the new normal. “First Look” ads for TV shows imply I’m a privileged insider. CocaCola ads insinuate they sponsor summer. Could we have summer without a sponsor? Go see Cleopatra! Digitally dusted off is the new “new and improved”. Don’t talk or text BUT download this app. Screen addictions are tough to kick plus we’ll reward you with advertising coupons for doing so! Cute Despicable Me light bulbs plug buying more popcorn. Did you already eat yours? And the capstone: see a live performance of the Metropolitan Opera. Action movie goers = opera demographic? On to the trailers! The message is clear: We are doomed. If you didn’t think the world was coming to a creepy end in the original Hunger Games, you’ll have another opportunity in the sequel. If World War is your fare, you can have it with zombies or without. And if you’d rather step back from man’s inhumanity to man, you can still go apocalyptic as the citizens of earth join to together to keep aliens from taking over the planet. For those who thought they were leaving the dysfunction of Washington behind, fear no more as the White House and Capital are under attack in June. I’m talking missiles; not pundits. Perhaps we’re terribly depressed and these movies will prepare us for our demise far better than any forewarnings of the Rapture. Alternatively, maybe we’re doing pretty well so that annihilation is so crazy that it’s entertaining. Of course the reality has much more to do with restless impatience of the action movie demographic: young male consumers, far from mortality. 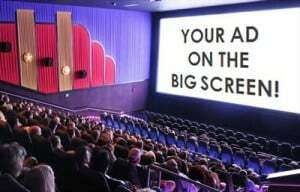 It’s ironic that we go to the movies to escape as we’re subjected to ads and content that in their own way, suggest there is no way out. Drama requires tension. Life or death struggles are always compelling but the implicit message at today’s theatre could just as easily be “buy or die”. Maybe that’s the next action flick: follow Brad Pitt on his quest to use his credit card to the limit before aliens seize him.